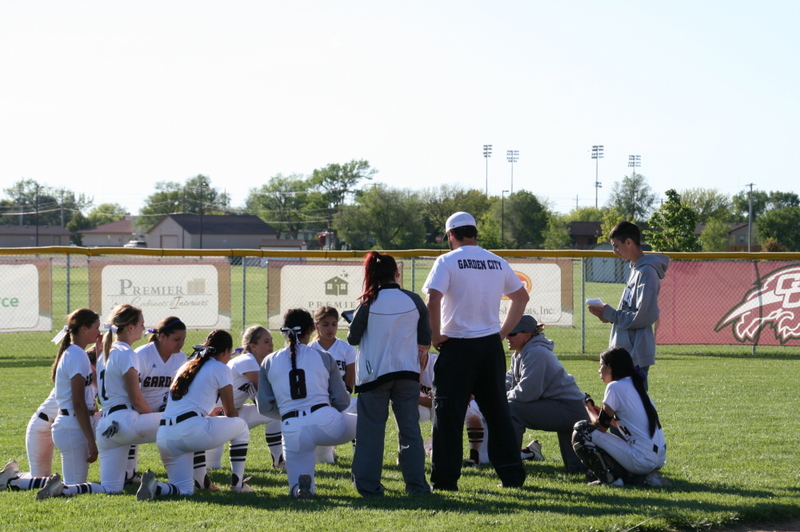 The Lady Buffs took on Thomas More Prep-Marian at Tangeman Sports complex on March 31, 2016. 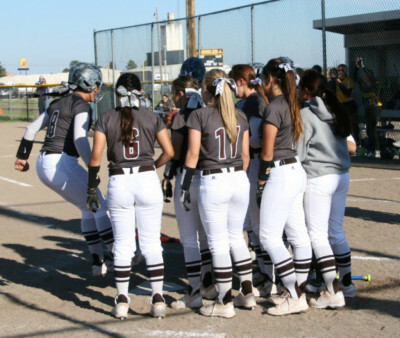 The season opening double header showed that the lady buffs came out ready to play, but still need to continue to work hard in order to accomplish their goals for the 2016 season. Strong pitching and solid defense led to a 6-0 no-hit shutout in the home opener, followed by a 3-0 shutout in game two. The Lady Buffs look to improve on their opening game sweep next Tuesday when they travel to Ulysses to take on the Tigers. Game time will be at 4pm. After a quiet offensive double-header versus TMP, the Lady Buffs bats seemed to wake up a bit Tuesday in their matchup against Ulysses. The Lady Buffs managed to put up 14 runs on 15 hits in 5 innings. Laura Farmer and Alyssa Long lead the way offensively with 3 hits each, while Abbie Dart pitched a one-hit shutout in the opening game. The Buffs came out strong in the second game scoring 8 runs in the first two frames, before the game was postponed due to extremely high winds. 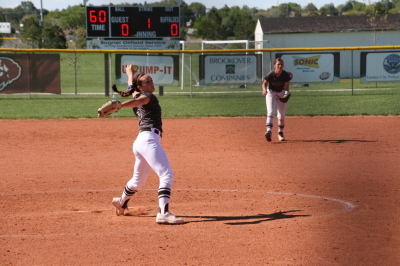 The Lady Buffs came out on fire in both games of the Goodland double-header on Tuesday. The first game saw the Lady Buffs put up 12 runs on 11 hits, multiple RBIs were driven in by Cartmill, Greenlee and Crawford. Game two was more of the same. GC score 17 runs on 15 hits. Abbie Dart had a huge game with a double, a homerun and 7 RBIs. Pitching and defense also played a large role, in the 12-1 and 17-3 wins. Friday the Lady Buffs travel to Clay Center to take on the Lady Tigers at 4:30pm. In the opening game of the double-header Friday at Clay Center the Lady Buffs came out to a slow start. They found themselves down 3-2 in the top of the third when they finally woke up from the long bus ride. Rylee Crawford came up with a huge single to right, followed by Shai Cartmill who also singled to right. Abbie Dart drove in the game tying and game winning run with a triple to right field and she scored an insurance run on a Lady Tiger error. In the second game the buffs put up 5 runs in the first 4 innings, however costly fielding errors let the Lady Tigers sneak back in and steal the game late. The Tigers scored 6 runs on just 2 hits, winning 6-5. The Lady buffs will be back in action Tuesdeay April 19 at home versus Liberal. 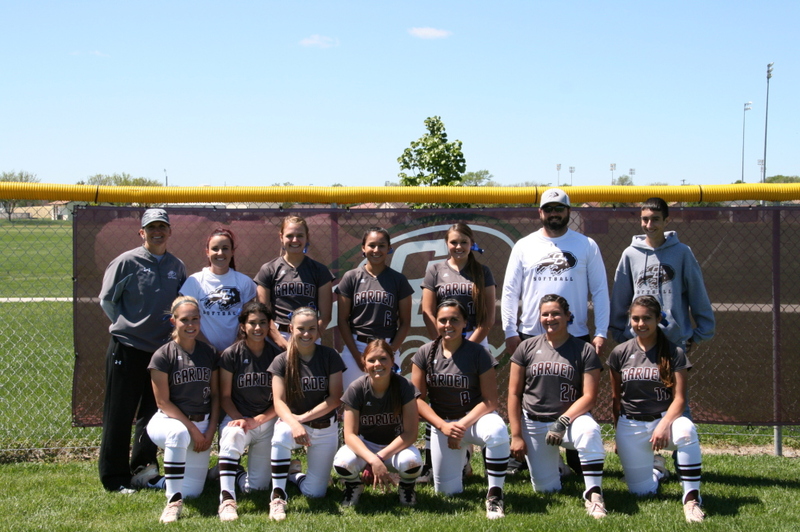 The Lady Buffs came out on fire as they travelled to Colby April 22, 2016. In the first game of the double header Junior Pitcher Abbie Dart threw her second no-hitter of the season. 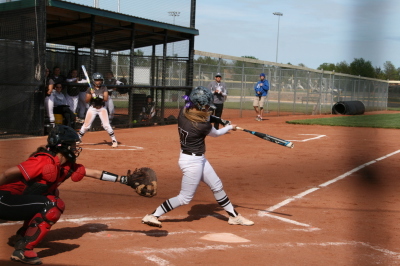 She was backed up by the Lady Buff offense which had 15 runs on 16 hits in the opening stanza. The second game was more of the same. Abbie Dart and her sister Hailey gave up only 2 hits in the combined pitching effort, while the buffalo offense compiled 21 runs on 14 hits in the 3 inning game. Senior Jenna Greenlee and Junior Abbie Dart led the buffalo offense with 5 hits a piece in the double header. The Lady Buffs will be in action again this Thursday April 28 in Great Bend. The Lady Buffs took on a tough WAC opponent in Great Bend on Thursday. The Lady Buffs offense got going in the first game putting up 6 runs on 15 hits led by Senior Rylee Crawford and her 4-4 performance at the plate. Five different Buffaloes came through and drove in runs. The Dart sisters combined for the game with Junior Abbie picking up the win with 12 strikeouts in 6 innings of work. In game 2 the Lady Buffs continued to show their dominance with a 13 hit 8 run performance. Junior Alyssa Long and Sophomore Morgan Cabral led the offense with 3 hits a piece, Long also crossed the plate three times. Abbie Dart again struck out 12 in her 6 innings of work, her sister Freshman Hailey came in to close the game out. 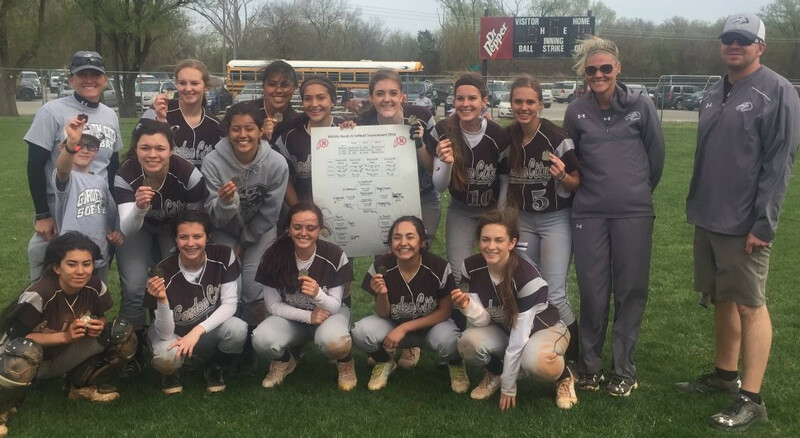 Liberal was no match for the Lady Buffs Softball team at Tangeman Sports Complex today. 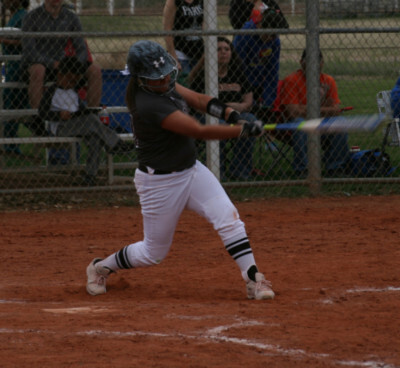 In the first game the Lady Buffs led by Abbie Dart with a 2 hit 3 RBI performance, tallied 11 runs on 12 hits. Dart crushed her second home run of the season and struck out 14 on her way to the win while Laura Farmer went 3-4 at the plate. Game one was lopsided but the Buffs hit the gas in game 2 with a 13 run first inning followed up by a 10 run second. Abbie Dart doubled up on her Homerun total with a blast over the left center field fence, followed by an inside the park homerun to right field. She also tallied 7 RBI. Hailey Dart saw her first varsity start, striking out 6 on her way to a shutout win in 3 innings. The Lady Buffs got off to a slow start against rival Dodge City in game one of their double-header. Scoring just 3 runs on 7 hits was enough to do the job though behind Junior Abbie Dart's 17 strikeout performance on the mound. 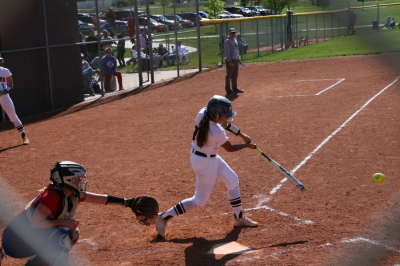 Alyssa Long had a stellar performance at the plate in game one with 3 hits in 4 at bats, and she scored 2 of the 3 runs. Game 2 saw the Lady Buffs get back on track scoring 6 runs on 7 hits. Seven different Buffalo players were successful at the plate making it complete team effort. The Dart sisters combined for the 7 inning game, Abbie pitched for 4 innings striking out 8, while sister Hailey came in for the final 3 frames only striking out one, but tough Buffalo defense allowed only 1 run. In the first game of the Emporia Round Ball Classic for the Lady Buffaloes it felt like they never woke up from the 5 hour road trip. They were shut out by a tough Kapaun team and managed only three hits. Pitcher Abbie Dart was stellar on the mound again striking out 14 and only allowing 4 hits, unfortunately one of which was a walk-off home run in the bottom of the 8th inning which gave Kapaun the 2-0 victory. Game 2 for the Buffs was much different. Playing a very talented Andover Central team the Buffs put up 6 runs on 9 hits, one of which was a huge first inning home run by Jordan Terrones. The Lady Buffaloes went on to win 6-4. The buffs finish up the regular season at home versus Hays on Tuesday. Our Hit of the Week was Jordan Terrones' 2-Run shot in the bottom of the first inning which gave the Buffaloes a 2-0 lead. The Buffaloes went on to win the game 6-4! 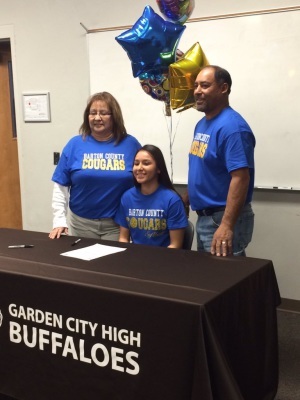 On January 19, 2016, Jordan Terrones along with family, friends and teammates watching, Jordan signed her letter of intent to play softball at Barton County Community College in Great Bend, Kansas. Jordan will be entering her 3rd year as a Buffalo varsity player. We are all very proud of you Jordan and cannot wait to see you succeed both this year as a Buffalo and in the future as a Cougar!